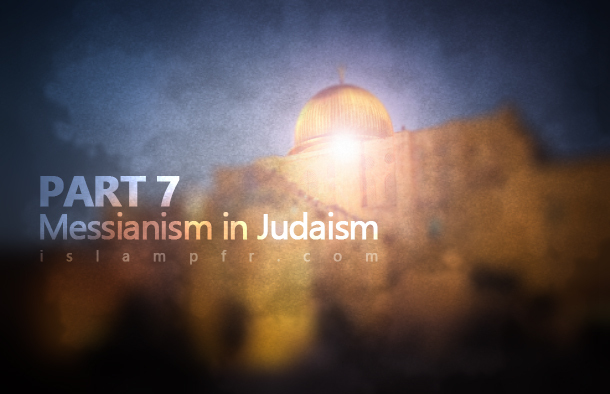 In the last six part, we took a look at the promised savior among the followers of Judaism and we emphasized on this point that what we see as the promise of the savior in Judaism is in fact based on their holy book and what is today presented from Zionist Judaism and Christianity’s perspective on the return of the savior is in many cases in opposition and even in paradox with the text of the Holy Bible. I will also gather all nations, and will bring them down into the valley of Jehoshaphat (It is a desert near Jerusalem which is presently called Wadi Qadron.) and will plead with them there for my people and for my heritage Israel, whom they have scattered among the nations, and parted my land. thy mighty ones to come down, O Jehovah. It looks like that by “house” in this verse, Jerusalem is intended and by “place”, Al-Aqsa Mosque is intended. For I will be unto Ephraim(The second son of Prophet Joseph (PBUH) as a lion, and as a young lion to the house of Judah (son of Jacob (PBUH) and elder brother of Joseph (PBUH) from another mother Lia, whose descendants are a line of king’s among Jews): I, even I, will tear and go away; I will take away, and none shall rescue him. It should be mentioned that in Islamic hadiths(quotations), it is broadly talked about the descension of Jesus (PBUH).His return is mentioned in most Islamic schools of thoughts and it is believed that when Mahdi (PBUH) returns, he will come back to earth and pray behind him and will approve him and Jesus (PBUH) will become one of his assistants.